Best Hidden Antenna For Harley Davidson Reviews: Top-5 in April 2019! Some riders like those long FM whip Antenna sticking out of their rides, while others want a smooth, natural appearance. There are options for both, and in this article, I will present you with the best-hidden antenna for your Harley Davidson ride. Consider this; your radio has all the pre-amp pumped into it, it only wants a great antenna to link to and reach the tunes riding on those radio waves. As such, you need a well-hidden antenna that will perform as well as, if not better than a standard antenna. Now that you have a basic understanding of what to look for let’s take a look at the top 5 best-hidden antennae for Harley Davidson applications. My choices are based on efficiency, power and price ratio. The Stubby is a Marconi style “mast” antenna made by the leading automotive and Motorcycle antenna fabricator; CravenSpeed. This model is designed only for the Harley and is made from a6010 aluminum alloy billet machined to size and then powered coated with a black finish. The stubby might be short and invisible, but the aluminum alloy 6061 delivers excellent RF properties and screws in seamlessly to your Harley CB antenna base. In fact, Harley has made it simple for multiple applications to use the Stubby and as such, this model fits every make between 1998 to 2018. This is a classic antenna design, shortened and made to fit many applications. It’s a very budget friendly model and is a proven signal retention component. This is a dipole antenna, as such, it has the power to boost gain and maintain a great signal. This model comes with dual RF amplifiers for AM and FM, and the overall length of the strip is a horizontal 13.5” with a ¾” diameter. 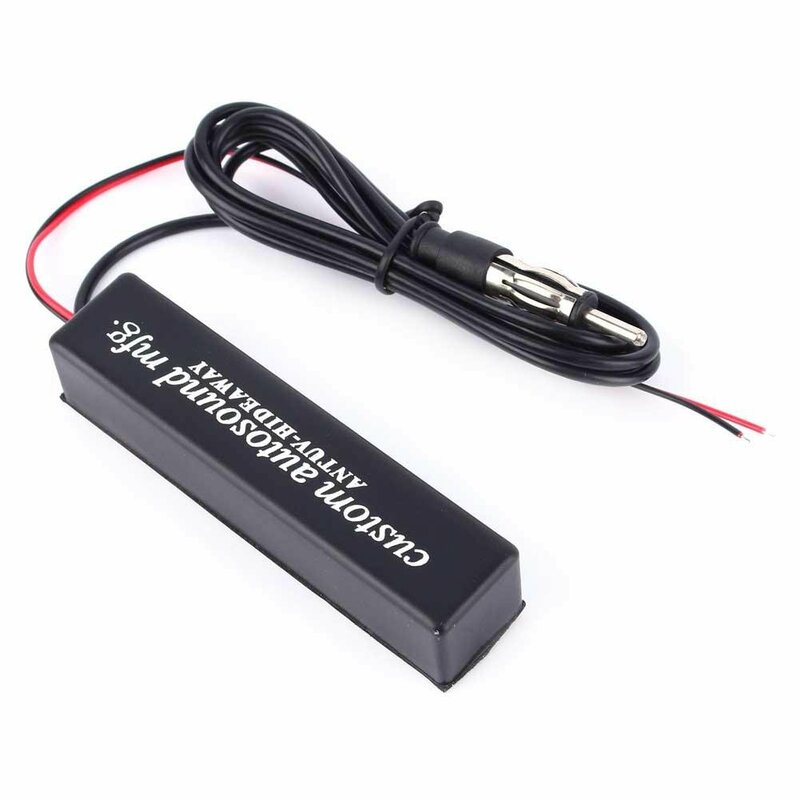 This model fits all models for 2013 and older and 2014 up,and it comes with a factory connector so that installation is fast and easy. This is for standard radio receiving, not for CB use. 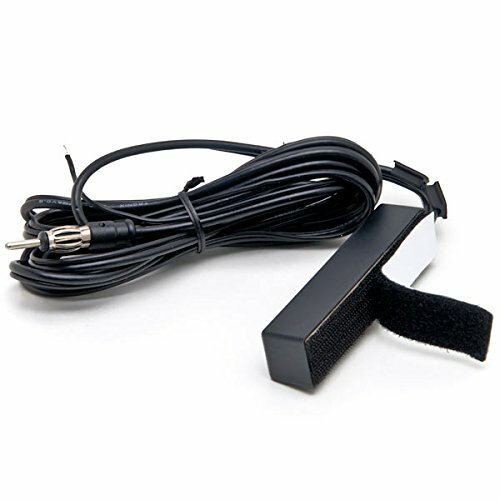 This is a dipole antenna with boost (pre-amp) which means it delivers exceptional reception, and this is a fact that has been tested and proven to be 100% accurate. The price reflects a dipole model, but if you want a great reception, this is worth the money. This is an active magnetic type antenna, which is a version of the Marconi but with a continuous magnetized loop style that focuses the reception and comes with excellent properties of both FM and Am bands. This model is a Keenso (Chinese) take on the popular Custom Autosound ANTUV model. This is the budget-friendly version of the Custom Autosound model, it comes at half the price and provides very similar properties. The only reason it’s in this list is the price to performance ratio was excellent. The J&M’s new FLEXPOWER hide-a-way CB antenna is perhaps one of the leading if not best hidden CB antennas on the market. This model was designed specifically for the 2014-2018 Harley Ultra, RoadGlide Ultra, and StreetGlide Fairing, and is to be used with the factory Harley CB radio. This model comes with a factory pre-tuned amp that is set for 27mhz CB radio band, and is made to replace the rear mounted CB antenna. Installation is easy, you just need to use the hardware that comes with this product, and there is no splicing or cutting to be performed. This is the king of the CB road for Harley’s and comes with an expected higher price. However, you do get perhaps the best hidden CB antenna of the lot. This is the Krater take on the Custom Autosound®, Universal Amplified Adhesive Mount Hidden Antenna (ANTUV-HIDE) and this version come with a 102 Inch cable length for easy installation. This version is the lowest price version on the market, and while it’s made of standard materials that do not meet the same level of the Custom Autosound® model, it delivers stable constant power for your radio. This model comes with Velcro mounting for adjustment, although I suggest using a dab of glue. You mount this on any nonmetal location, and you plug it into the Harley jack. This is the poor man’s antenna; I say it as I see it. If you have a very limited budget and want to hide your antenna, this is the one to get. This is where choosing the right antenna is key to your success, after all, what’s the point of having a great tuner if the receiver is crap? Before I start presenting you with the best-hidden antenna for Harley Davidson applications, maybe understanding what a good antenna is will help you understand this seemingly simple component. To start off with, antennas are not simple devices. They are transducers that convert the voltage from a transmitter into a radio signal. They also catch radio signals from the air and convert them into a voltage for recovery by your receiver. Now, I will not delver deeply into the science of RF, here is a basic 101. RF moves in different frequencies, the higher the frequency, the higher the wave moves, so low frequency AM under 3 MHz hugs the ground. The 3-30MHz frequencies are a shortwave, and they go all the way up to the ionosphere and reflect back down again. Wireless frequencies are above 100MHz and go as far as 10GHz, these are called skywaves, and just like light, they go in a straight line. The low wave antenna can hit the frequencies easier, since these RF traverse the face of the planet and bend, making them easy to pick up, the sky wave frequencies require a special antenna that can get as close to the LOS (line of sight) to pick up the frequencies. Antennas come in many forms, and they need to be able to pick up the RF. The motorbike antenna parts come in three of these forms. One is the “dipole” form, which is made of two linear conductors end-to-end with a length of one-half wavelength. The receiver is connected to the center of the antenna, depending on the height of the antenna the impedance will change. (Yes, height and size matter) The second form is the Marconi (mast) monopole antenna that are simple strips or rods of metal (Copper or Aluminum). The third form is a loop antenna (usually magnetized). There are more forms, but not relevant to this article. Now your head is spinning; you only wanted to buy a hidden antenna. There is one more thing to know; the antenna can express gain, this means that a good antenna will boost the signal, which means it becomes directional. 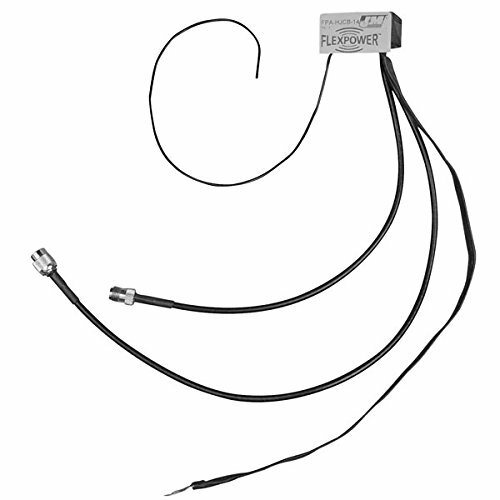 Directional antenna expresses their gain in dB over a dipole or ERP. So when you see these figures being expressed, you know that the antenna has a booster for gain. To get a good gain, you might need more than one antenna or use more than one dipole. The greatest gains are reached using reflectors (dishes) that reflect the signal focusing it, and you can get 10 to 20dB gains with these. Obviously not relevant to a hidden antenna. A quick word on antenna efficiency. This is the power in power out ratio and is very important. Always make sure your hidden (small) antenna has an efficiency rating above 50% if not, it means you are losing a lot of the power and signal. Final words of advice; don’t try to build your own antenna if you don’t have a degree in electronics with a specialization in RF. This is one of those areas of engineering that even other engineers shun from due to its amorphous science.